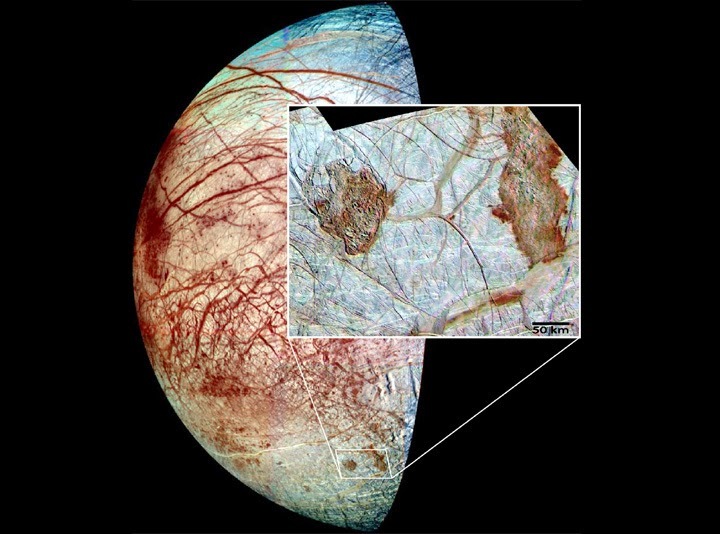 SpaceFlightNow.com has published an article reporting that NASA officials have asked their European counterparts if they would like to propose contributing a small probe to NASA's Europa mission planned for the mid-2020s. If the Europeans are interested, the probe could carry out any of several possible missions. Two mentioned in the article would be a small lander or a craft that could fly through and study any plumes found erupting from the moon's surface. Another possibility, not discussed by the article might be a small spacecraft that could repeatedly flyby the moon to make magnetic field and gravity measurements. Both studies are key to understanding the size of this moon's ocean and the structure of its rocky core. The main Europa Clipper flyby craft will make these measurements during each of its flybys. Both studies, however, improve with the number of passes by the moon, so a second craft would add substantially to these measurements. I'm told that one or more of the CubeSat studies NASA is separately funding as possible augments to the mission would do this. You can read more about possible small lander designs in this blog post, this Science News article, or from this presentation. If the European Space Agency's managers decide they might like to participate, then European scientists could propose specific probe plans as part of a future Medium Class mission competition, where it would compete against other planetary and astrophysics proposals. Note: My thanks to RL for informing that the Mars 96 mission also carried penetrators; the text has been corrected. However, there has been no successful use of penetrators on any planetary mission to date.